Last week marked the announcement of LG's new G3 smartphone, and with it came a ton of new features and improvements to their Optimus UI. While most manufacturers put little effort into their keyboards—probably due to the attraction of third-party alternatives—LG has made their latest iteration one of the best OEM keyboards I have ever used. In this tutorial, I will be showing you how to install the ported LG keyboard, and as a bonus, its new sounds and wallpapers, to your HTC One. The wallpapers and sounds are just regular files that can be copied over, but the keyboard does require you to have root permission to install properly. Note that this is not limited to the HTC One, as every other rooted device I've tested this on installs and runs the keyboard just fine—everything from older devices like the Samsung Galaxy S3 to tablets like the Nexus 7. The original port was done by developer Cloudyfa, and it has since been packaged in a simple APK by bender_007. Because the app isn't available on Google Play, you'll have to download it from your One's browser, which means you'll need to have installation from "Unknown sources" checked. 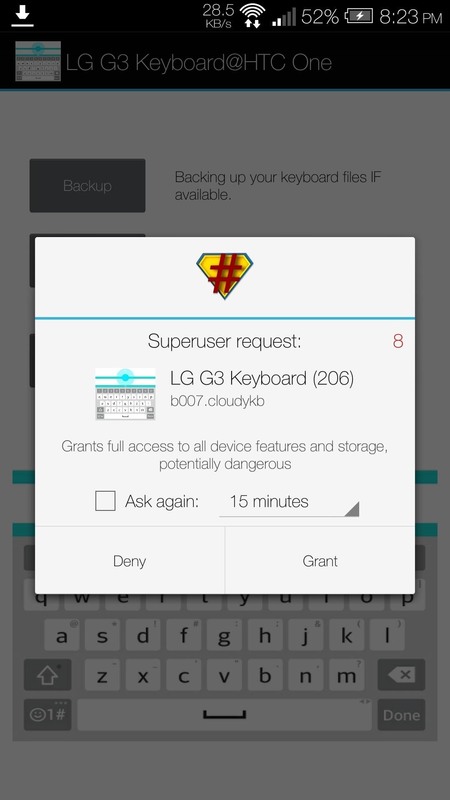 After the file has been downloaded, install it like you would any other app, then open the LG G3 Keyboard, grant Superuser permissions, and tap the Backup button. 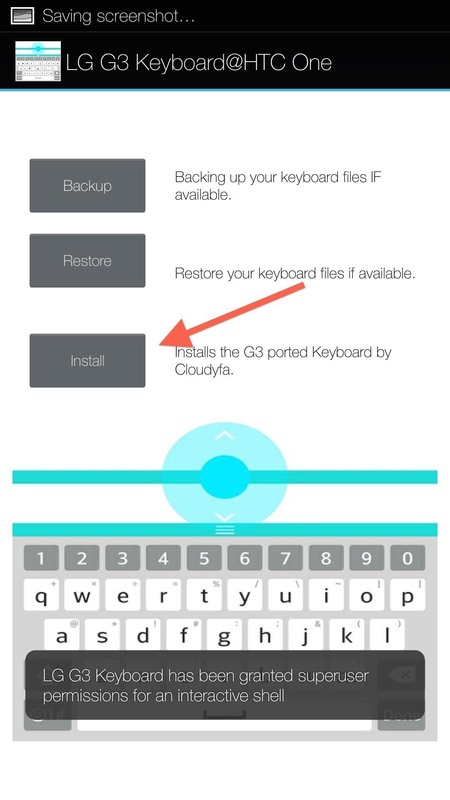 This will allow you to revert back to your stock keyboard settings if you decide to uninstall the G3 keyboard later. 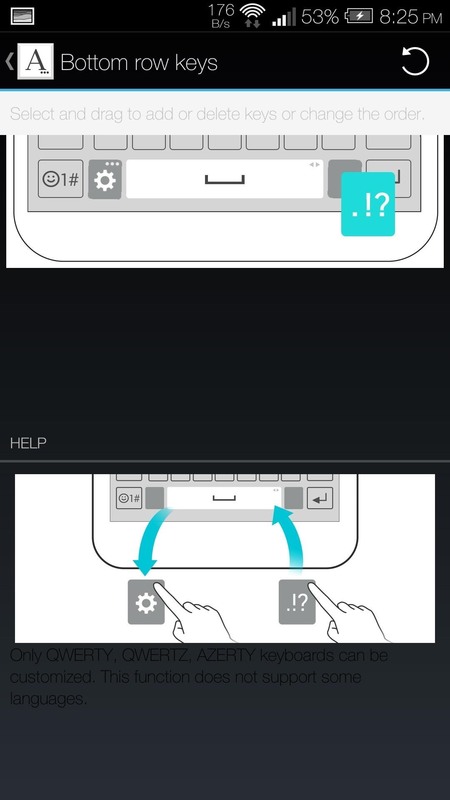 After it has backed up your previous keyboard, you'll be able to Install it. You will need to reboot your One after installing, and after that, you can enable it from Settings -> Language & keyboard -> LG Keyboard. 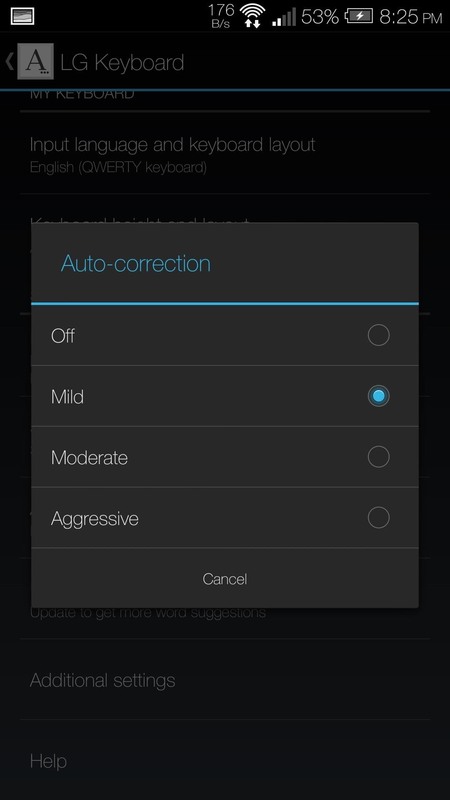 What sets this keyboard apart is its simple, yet useful customization options. When you tap the LG Keyboard option in your Language & Keyboard settings, you'll find all the tweaks that come with the G3 keyboard. 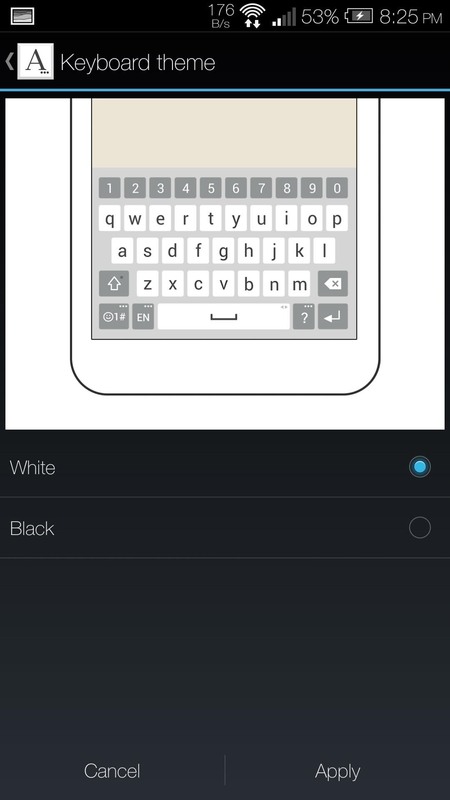 Tapping Keyboard height and layout will allow you to change the keyboards height, switch up the bottom row layout, and switch between a white and black theme. To change the height, you would need to drag the bar above the keyboard either up or down. You also get all the features that have become standard to keyboards, including swiping input, Emoji support, suggestions, and auto-correct. 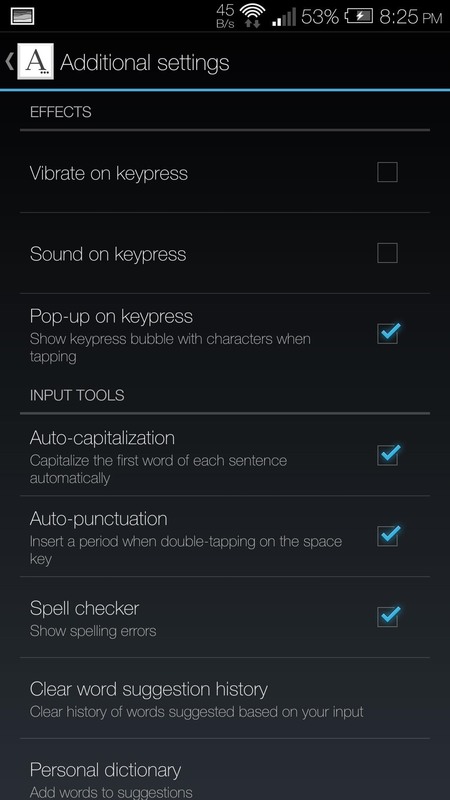 There are also Additional settings that you can use to change the tapping effect as well as enable/disable auto-capitalization. 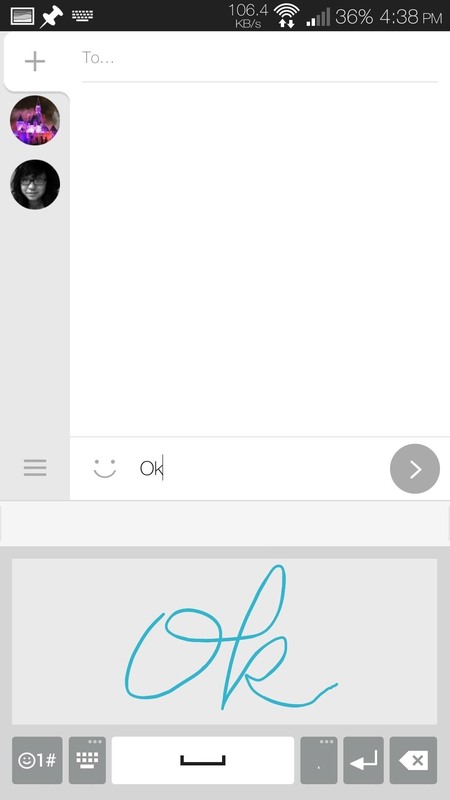 A somewhat hidden feature is the addition of handwriting support. 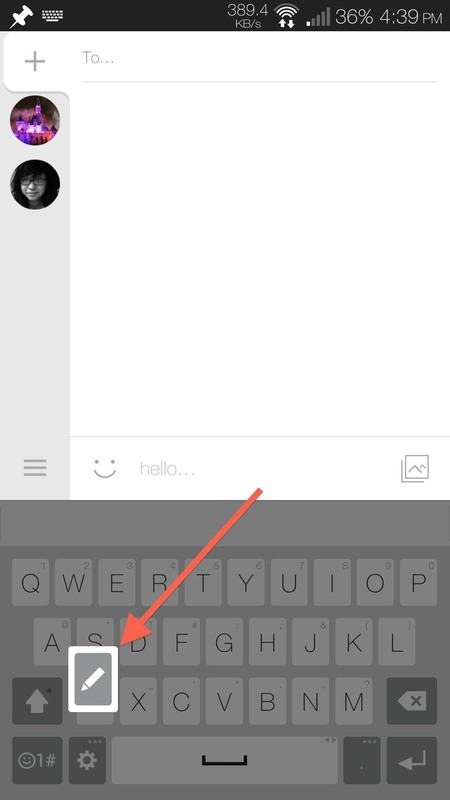 Tap and hold the gear icon on the bottom left of your keyboard, then select the pen icon. The first time you use this feature, you will need to download the language file for your native tongue, then you're all set. In the files linked below, you will find both the sounds and wallpapers that were pulled directly from the G3 ROM. 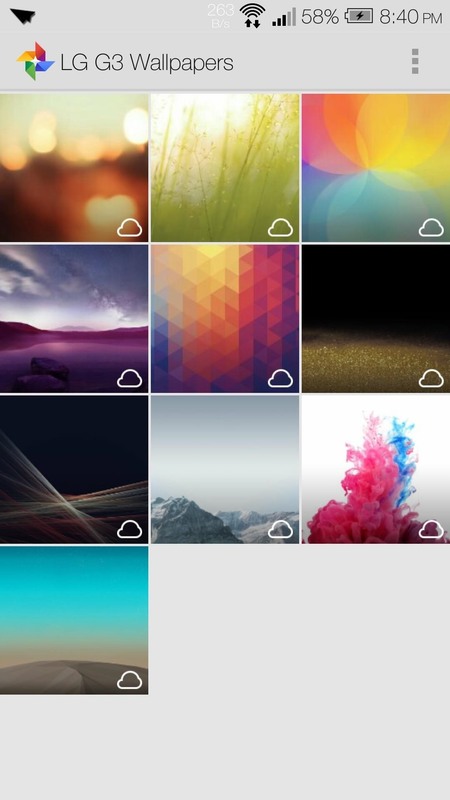 After downloading them, either to your device or computer, unzip them and place them on your One's internal storage. The sounds are split between ringtones, alarms, and notifications, so you can place them in their appropriate folder in your storage, after which you can select them from the Sound section of your Settings app. 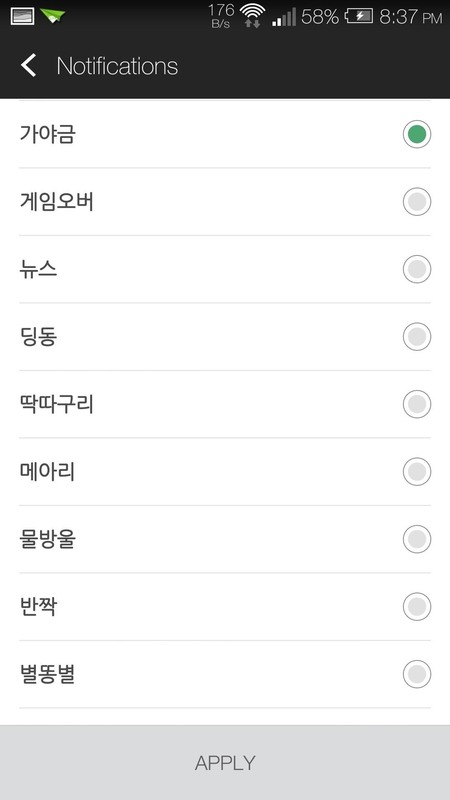 As these are from the Korean version of the G3, the names of the sounds will be in Korean, but they work nonetheless. Now you have the new, high-resolution wallpapers and sounds from the G3, along with their kickass keyboard. There are plans in works to port more G3 exclusive apps, so be sure to stay tuned! This didn't work for me. After reboot, the keyboard never showed up in the languages & keyboard setting. I gave it root access. It did the backup, then the install. I can see where it created a tmpkb folder on the internal storage. I had to go in there and find the apks and install them myself. It took some tinkering after that to get it to work. I can't have the google keyboard enabled or this one crashes every couple of seconds. it work with my Nexus 5. Does the keyboard show up in Language & Keyboards? Was there an error when installing? 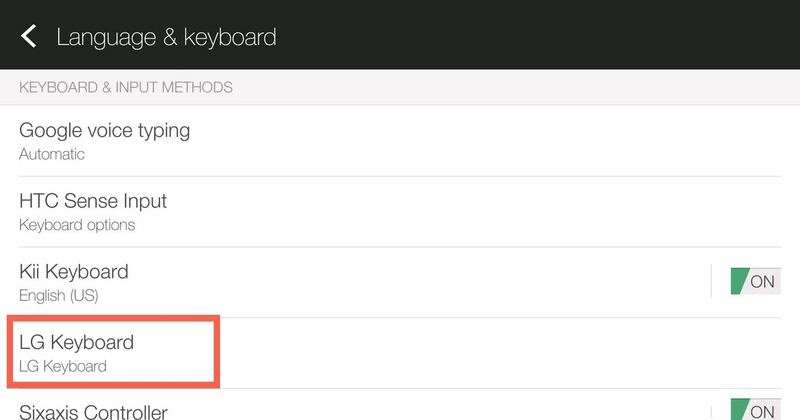 Do you see the LG Keyboard app installed under the Apps section of your settings app? Uninstall it and reinstall. Make sure to give it root permission when prompted. I've already done that. It didn't work. Any ideas? Thanks! Sorry about that. Try flashing this zip in TWRP. I got it to install and it shows up as an option under my keyboard settings.. but I still see the stock keyboard whenever I try to type. Pull down the notification shade when you have the keyboard open and change the default keyboard with the IME switcher. Just writing to thank you and to let you know that the zip you suggested me to flash worked. But the keyboard didn't work so well. I live in Brazil, so I like to keep two languages working in the swipe, but the LG keyboard can just do one. And, using English, the keyboard is kinda laggy. And, when you hold down to choose a different mark (for instance) the position is kinda off (a little bit dislocated). 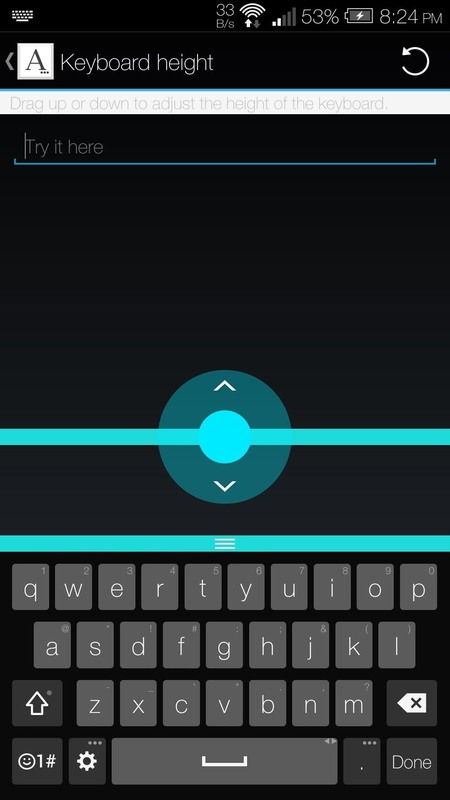 So, I am back to SwiftKey... For me the big thing about the LG keyboard was the "swipe selection" space bar, but the overall experience was not so good. Thank you very much for your help. As always you were awesome! Which zip giving you the issue?